Is Half Cabinet Colocation Right for Your Brand? 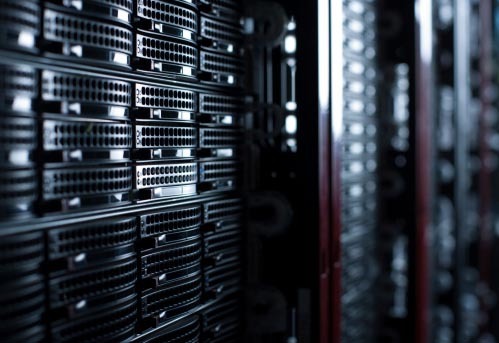 Here at SiteB Data, we offer colocation options ranging from as small as a quarter cabinet to as large as a full private data center. But one of our most popular options has consistently been half cabinet colocation, and it could prove to be the ideal option for you too. Ask yourself the following questions to determine if it’s the right next step for your brand. Are You Worried about Losing Your IT? Half cabinet colocation is great because it gives you access to the resources of a world-class data center, but at a fraction of the cost and with a minimum amount of hassle. You get redundant electric and network connections, careful environmental monitoring, and access to a location that is immune to weather. For a relatively small investment, you’ve essentially eliminated downtimes. Are You Growing Fast? Another reason that half cabinet colocation is so popular is that it gives companies lots of room to grow. They can start small, get used to the practice of outsourcing IT, and then steadily shift more and more assets off-site as the size of their infrastructure grows. That level of scalability proves to be a strategic asset over the long term. Are You Trying to Extend Your Reach? Building your own data center is a huge capital investment. But if you’re not reaching all the customers interested in engaging with your brand, you might have to make that investment just to extend your reach into all of the US and Latin America. Or you could try half cabinet colocation instead and guide your business with flexibility and agility. Are You Focused on Things Besides IT?. There are some brands that put IT at the heart of what they do, and others that thrive by focusing efforts elsewhere. If your brand is one that is tech dependent but not eager to be a tech company, half cabinet colocation allows you to shift much of the hassle off your shoulders. That way you can direct your time and effort where it will have the biggest impact.